Toys R Us is joining the slew of stores that will open increasingly early this Thanksgiving. The toy store chain will open at 8 p.m. on Thanksgiving Day, Thursday, November 22. Last year, Toys R Us opened at 9 p.m. The deals start with more than 200 doorbusters, including a free $20 store gift card and $30 iTunes card with the purchase of an Apple (AAPL) iPod touch. Toys R Us is working especially hard to promote its electronics, including Nintendo 3DS, Nintendo Wii U software, Samsung Galaxy tablets and its very own $150 tablet for kids, called the Tabeo. From Thursday to Saturday, the stores will offer "buy one, get one for $1" on select video game titles. Meanwhile, Furby is back this year, and Lego is expected to be a big seller as usual. 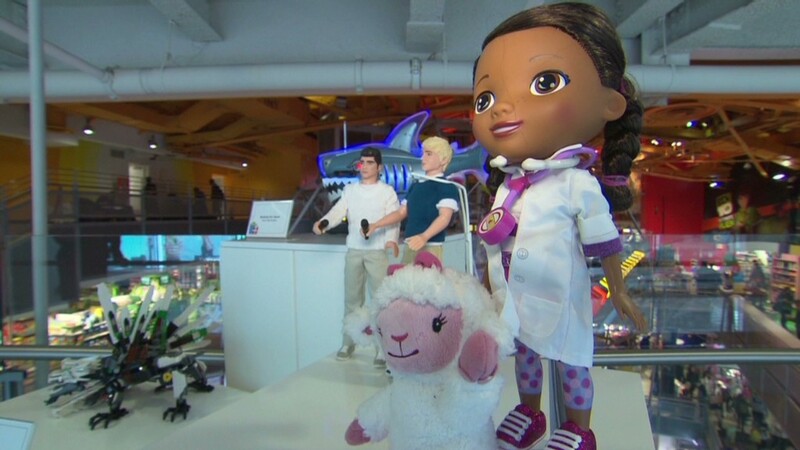 Doc McStuffins dolls, modeled after a Disney (DIS)character who heals toys, are already flying off the shelves. Following retailers like Kmart and Wal-Mart (WMT), Toys R Us is offering free layaway plans, where customers can reserve a toy online or in stores and pay it off over time. Wal-Mart stores will also open at 8 p.m. on Thanksgiving Day, and Sears (SHLD)will roll out its holiday deals on November 18 -- five days earlier than usual.